For most of us, the holiday season represents a time for family festivities and good cheer. What few of us consider is that the holiday season is a time when there is an increased risk of home fires. According to the Liberal Fire Department, many households engage in holiday activities that serve as some of the leading causes of U.S. home fires, including cooking. Christmas trees, candle usage and holiday decorations also significantly contribute to the seasonal causes of home fires. Add to that the hectic nature of the holidays, when people are trying to accomplish multiple tasks at one time, and the chance for home fires grows even more. 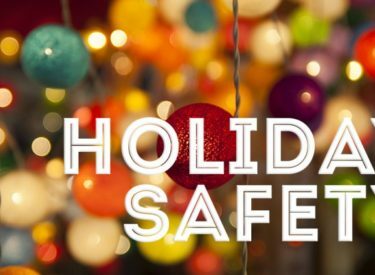 Fortunately, with a little added awareness and some minor adjustments to holiday cooking and decorating, the season can remain festive and safe for everybody. “By taking some preventive steps and following simple rules of thumb, most home fires can be prevented,” says Regier. With unattended cooking as the leading cause of U.S. home fires and home fire injuries, Regier says to stay in the kitchen while you’re frying, grilling, boiling, or broiling food. Most cooking fires involve the stovetop, so keep anything that can catch fire away from it, and turn off the stove when you leave the kitchen, even if it’s for a short period of time. If you’re simmering, baking or roasting food, check it regularly and use a timer to remind you that you’re cooking. The Liberal Fire Department also suggests creating a “kid-free zone” of at least three feet around the stove and areas where hot food and drinks are prepared or carried. Candles are widely used in homes throughout the holidays, and December is the peak month for home candle fires. The nonprofit National Fire Protection Association’s (NFPA) statistics show that two of every five home decoration fires are started by candles. The Liberal Fire Department encourages Liberal residents to consider using flameless candles, which look and smell like real candles. However, if you do use traditional candles, keep them at least 12” away from anything that can burn, and remember to blow them out when you leave the room or go to bed. Use candle holders that are sturdy, won’t tip over and are placed on uncluttered surfaces. Avoid using candles in the bedroom where more than one-third of U.S. candle fires begin or other areas where people may fall asleep. Lastly, never leave a child or pet alone in a room with a burning candle. Visit www.nfpa.org/holiday for more information and safety tips.